Maxi skirts are my newest fashion obsession. They’re flirty, stylish, and most importantly, cool and breezy in the summer. 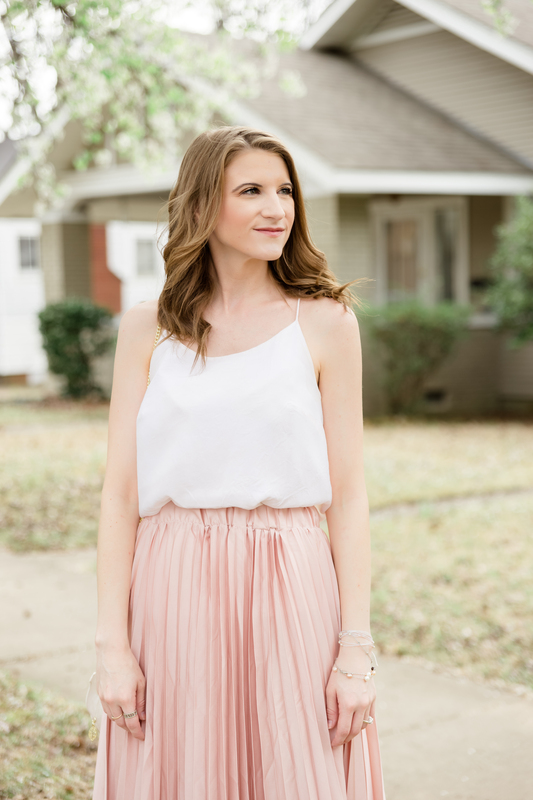 I found this versatile pleated maxi skirt in another of my latest obsession: the fashion department on Amazon. This is the third installment in my collaboration with Little Rock photographer Madeline Shane Photography. 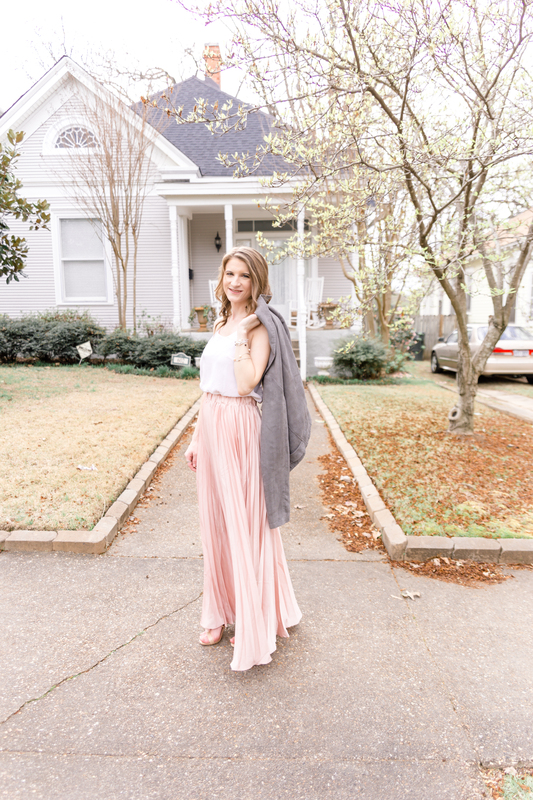 Scroll down to see her gorgeous photography and how I styled this maxi skirt! 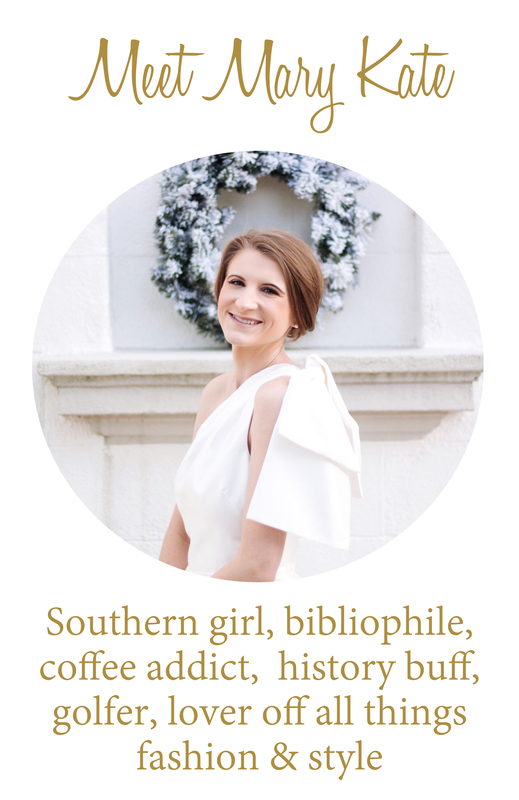 If you’ve read Chic Little Honey for a while, you know I love versatile wardrobe pieces. I love anything I can layer or wear 15 different ways. This maxi skirt is no exception. 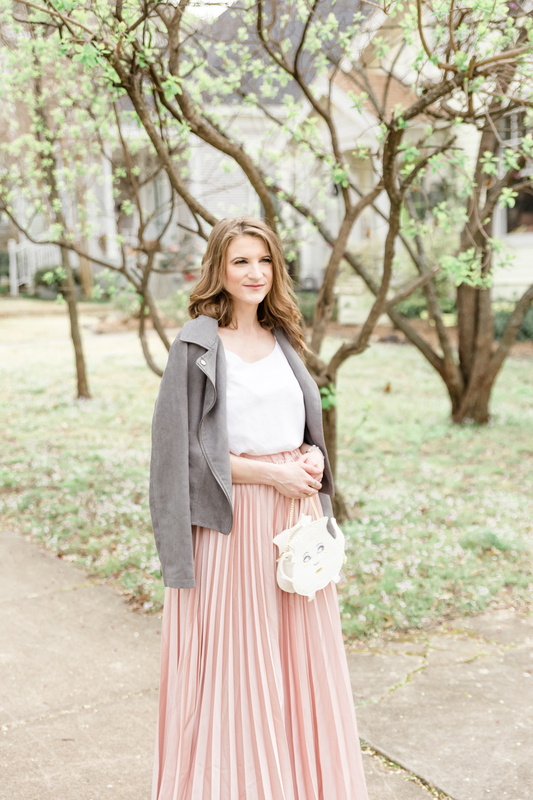 I can wear this skirt with camisoles, knotted tees, crop tops, or sweaters (like I did here!). I can dress it down with sneakers or sandals, or dress it up with wedges or heels. For today’s outfit, I tucked a Lilly Pulitzer silk camisole into the waist of the maxi skirt. A light suede jacket draped over my shoulders adds texture and a little bit of drama to the outfit. 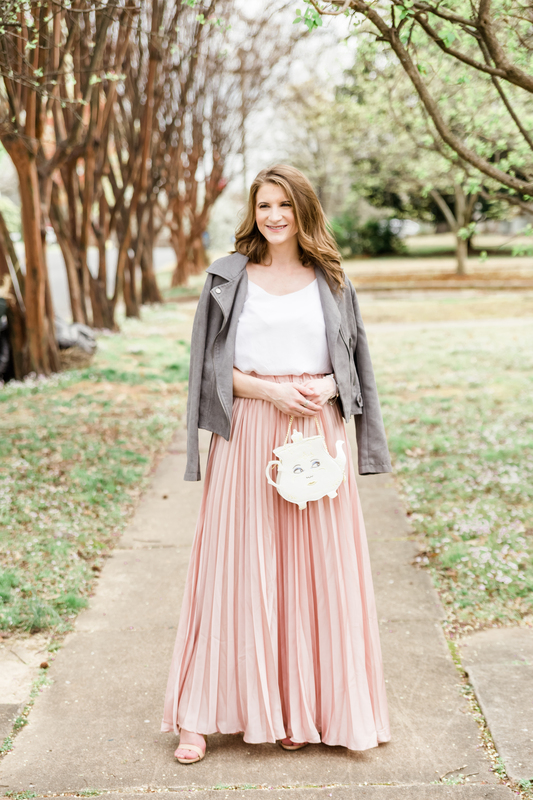 This maxi skirt is still available on Amazon in several beautiful colors, but this pretty pink shade is currently unavailable. You can find this exact pink skirt here. An adorable Mrs. Potts shaped shoulder bag from the Danielle Nicole x Disney collection finishes off the outfit with a whimsical touch. The skirt is lovely and you styled it so beautifully! Oh my gosh, this bag is so cute! I love this look.